Sorry everyone, no final store post for the year. The holidays turned out to be too busy for me to get the last post completed as planned. 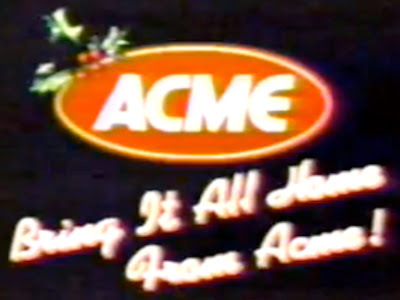 It has been rescheduled for when the blog starts back up on January 15th. 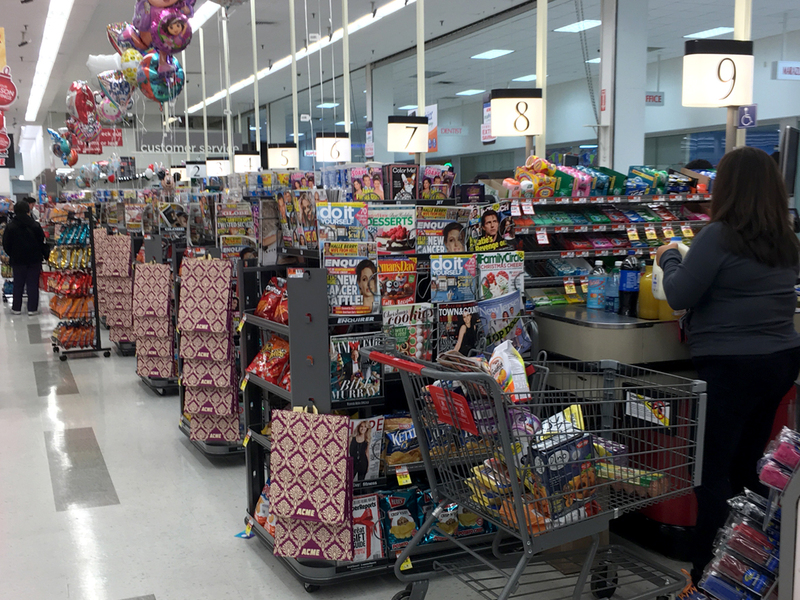 Until then... have a Happy New Year! 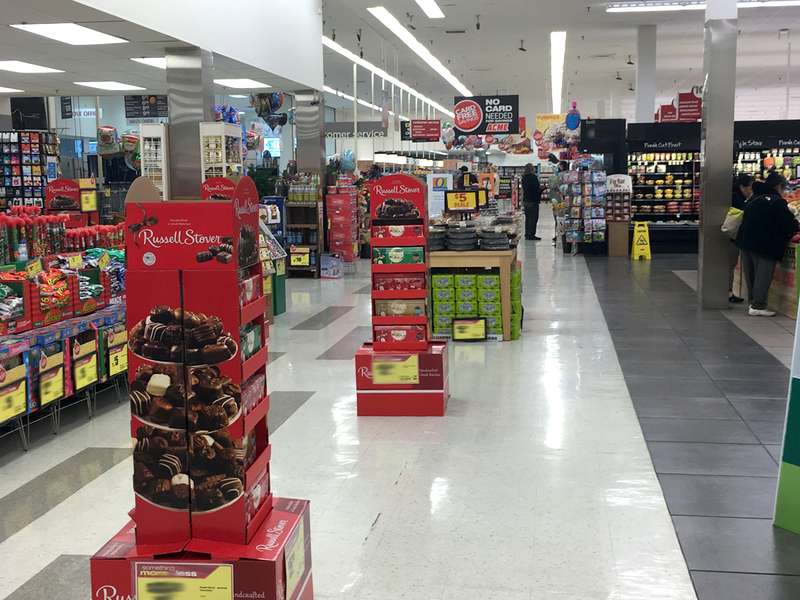 Check back next Wednesday for the year's final store post! 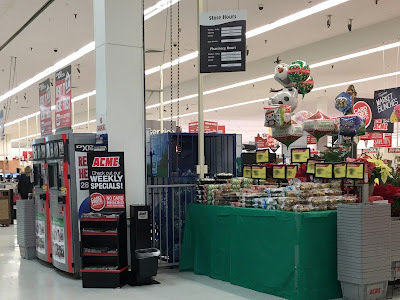 Weehawken Acme is Getting Better! 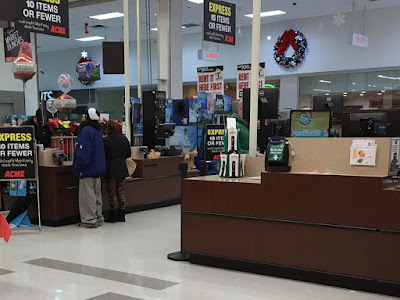 4 express registers are now located here. 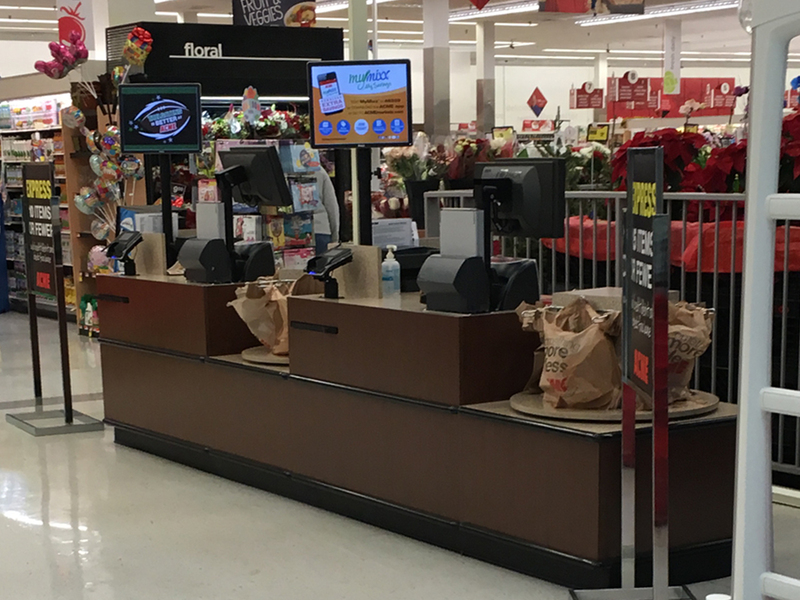 Unfortunately there are no register lights.... yet. Security gates have also been added to the entrance and exit. As I've mentioned, this is by far my favorite Acme conversion! The store did not keep the manager of the Pathmark and it appears the new manager is really trying to take the service to a whole new level. Most of the Pathmark employees stayed on and I can tell you without a doubt, they are much happier working for Acme. 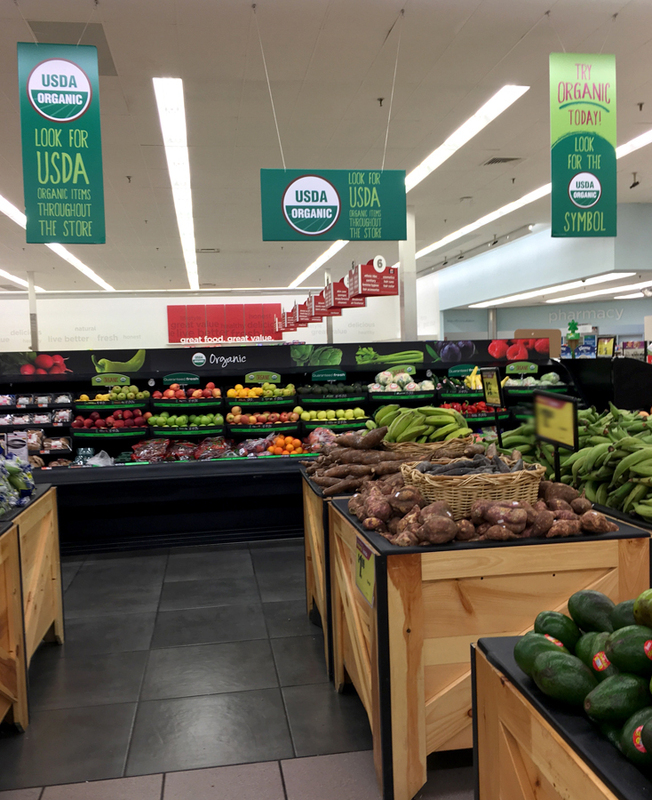 While the store overall looks just like it did as a Pathmark, the difference in atmosphere is nothing short of astounding. For full coverage of the Weehawken Acme, please click here. 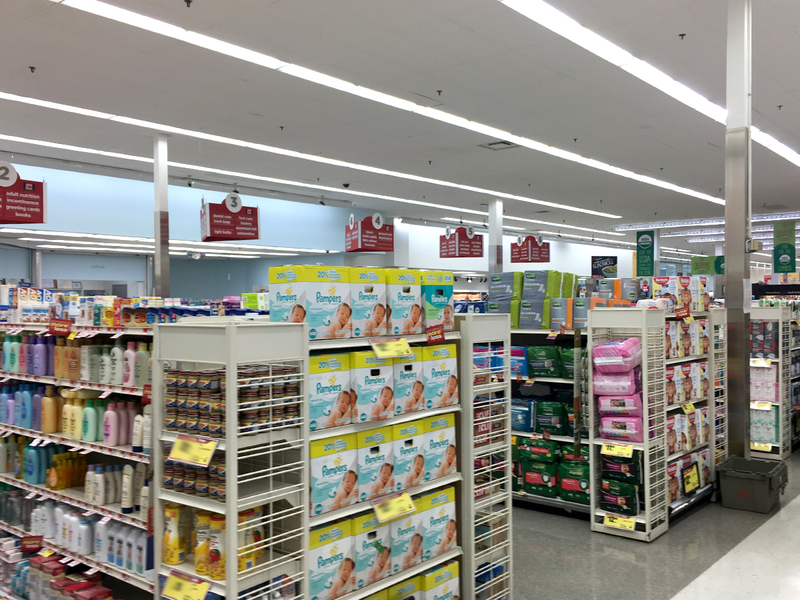 Checking out the Chestertown Remodel! 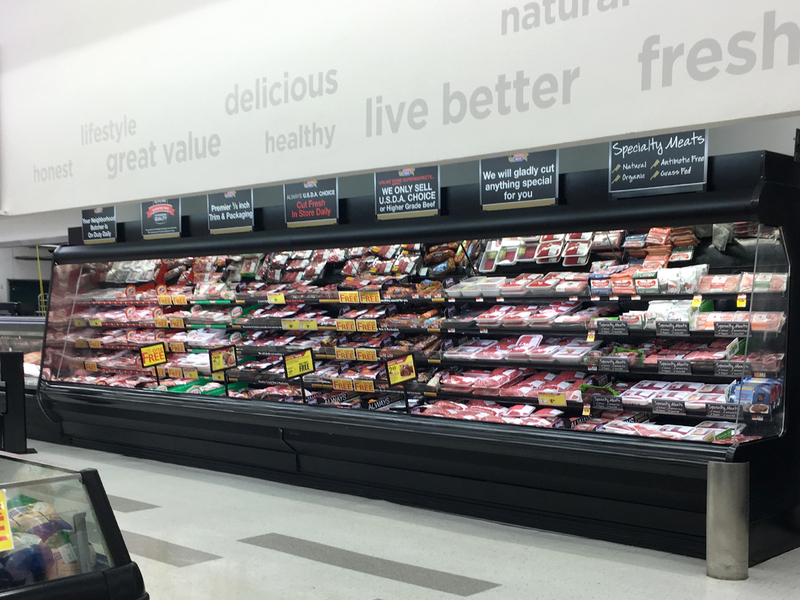 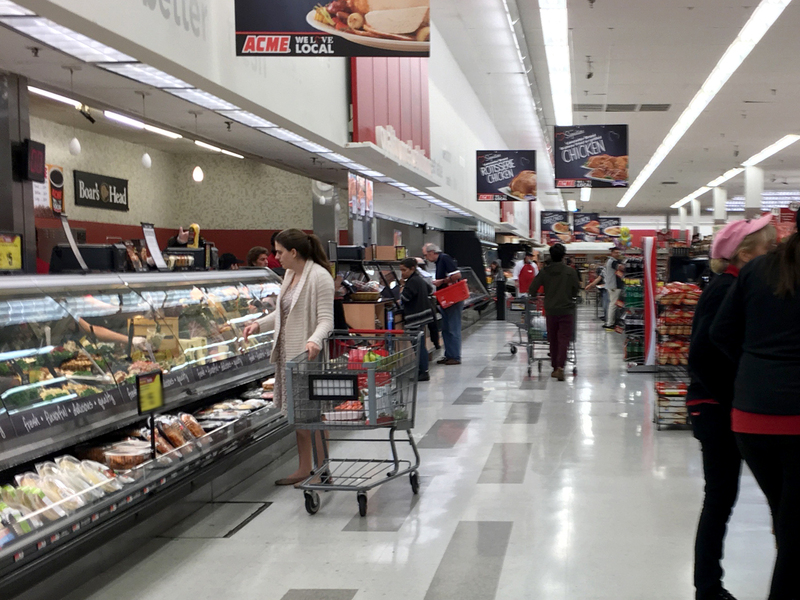 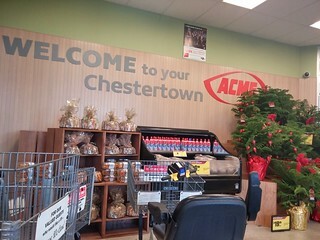 The Chestertown Acme held its Grand Reopening on March 13, 2015. 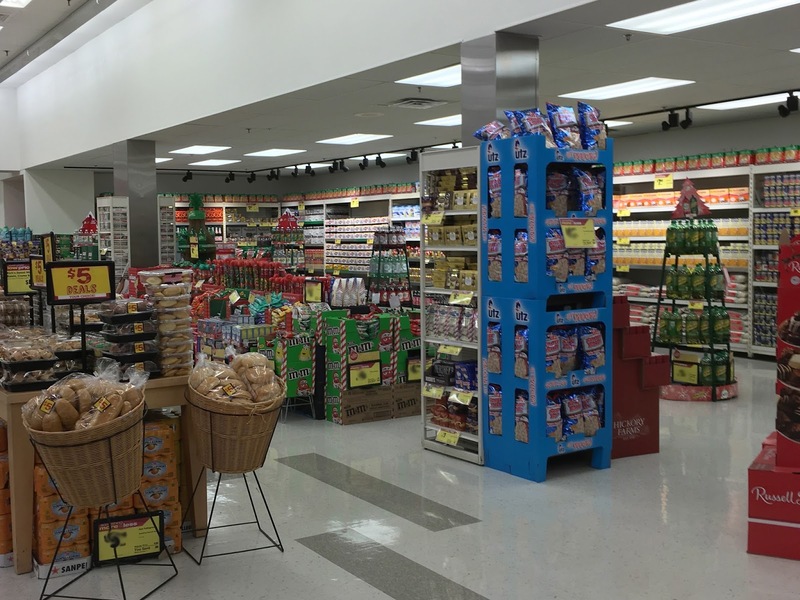 The store was expanded and renovated from floor to ceiling. 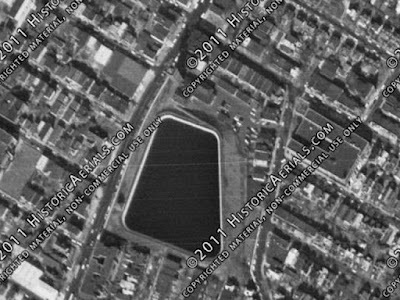 I had been hoping to make a visit since the reopening but haven't made it down there yet. 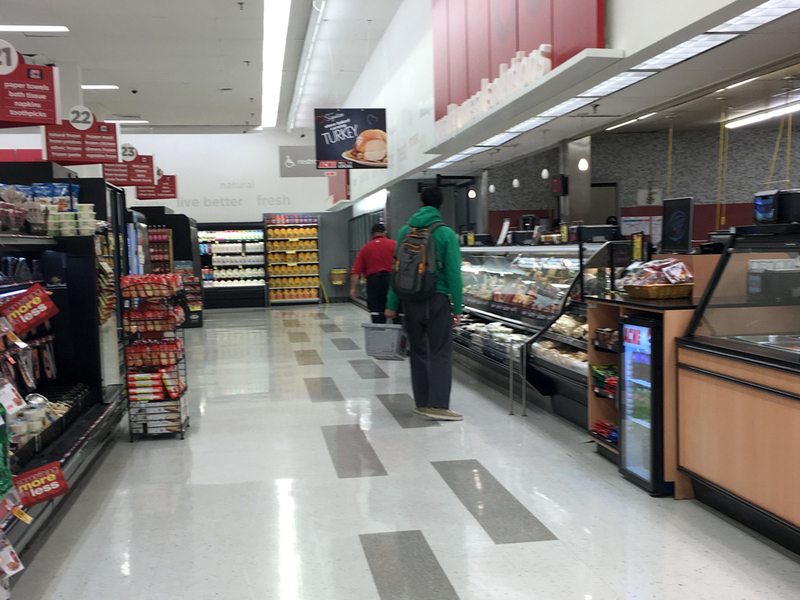 Will visited the store recently and is brining us our first look at the interior of the store. 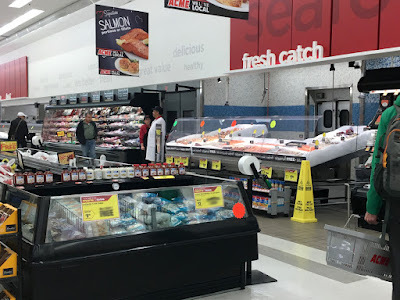 As you'll see it has the Quality Built decor package and the former pitched-roof ceiling has been replaced with a drop ceiling. 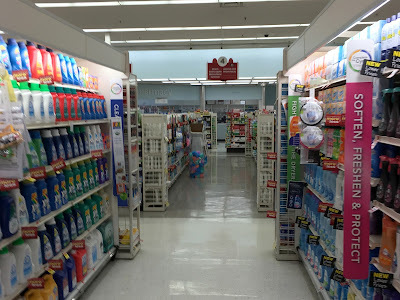 This post features Will's photos along with some "before" photos from storewander's flickr collection. 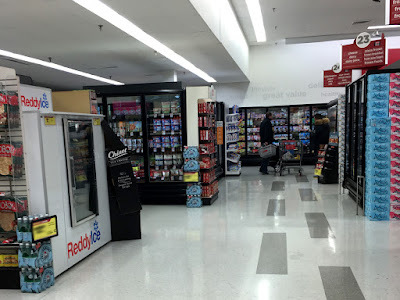 A more extensive post on the store's history will be coming in the future. 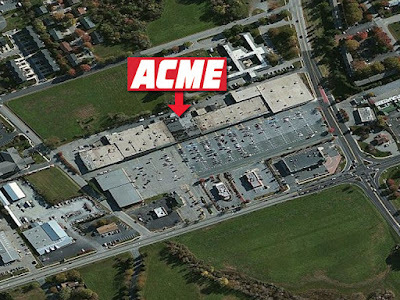 The pitched-roof store that started out in this location had been expanded previously to 25,000 square feet. The latest expansion had the store expanding into storefronts on both sides bringing the total square feet to 41,500. 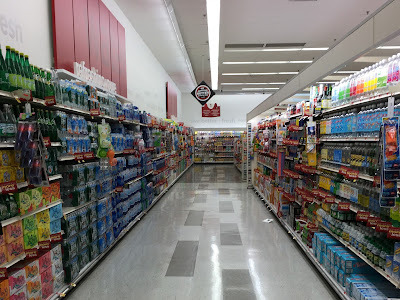 Storewander has a few photos dating back to 2009. 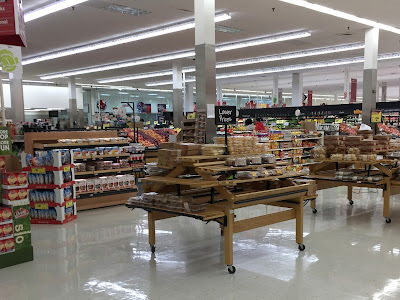 The store had the Albertsons Marketplace decor and the pictured-rood still intact! 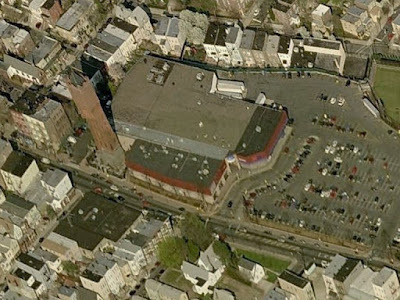 Aerial views are very limited for this area. Up close views are not available. 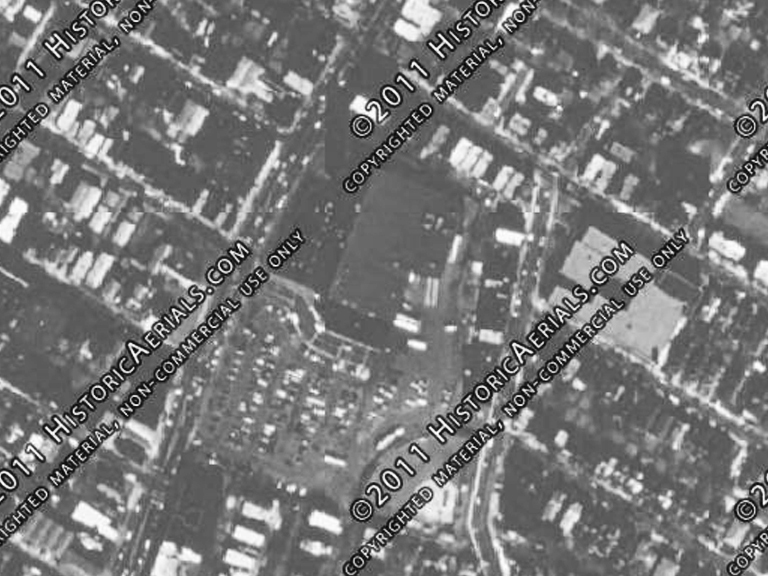 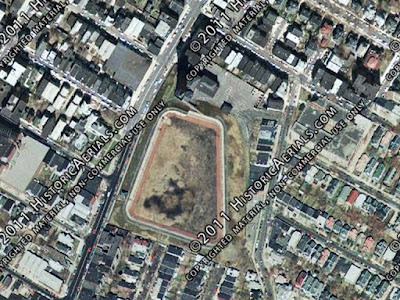 A Google map screen grab of the former Chestertown Acme located at 348 High Street. 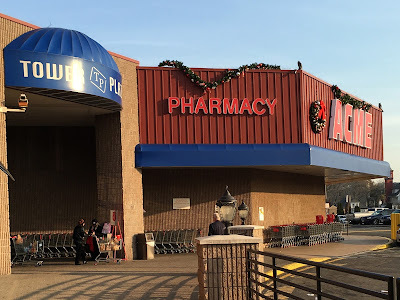 Opened November 16, 1950 and closed in March 1, 1967. 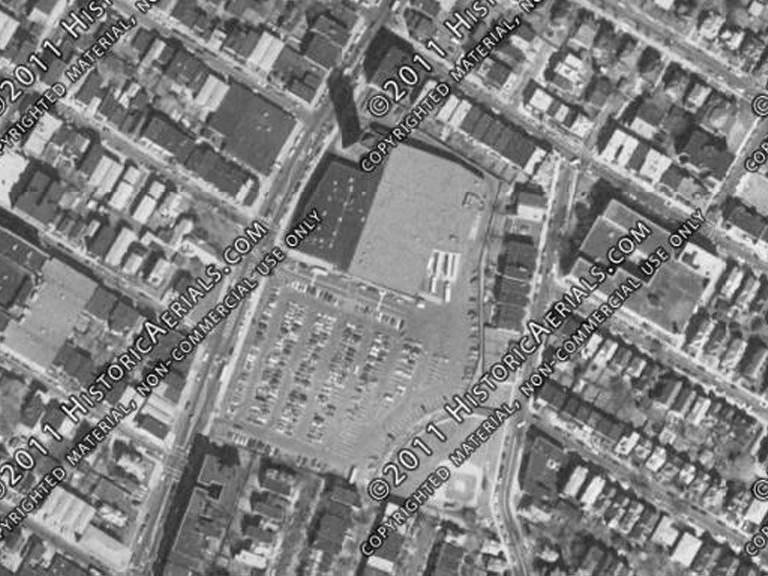 I don't have confirmation on the exact opening date of the Washington Ave store but it most likely was March 2, 1967. 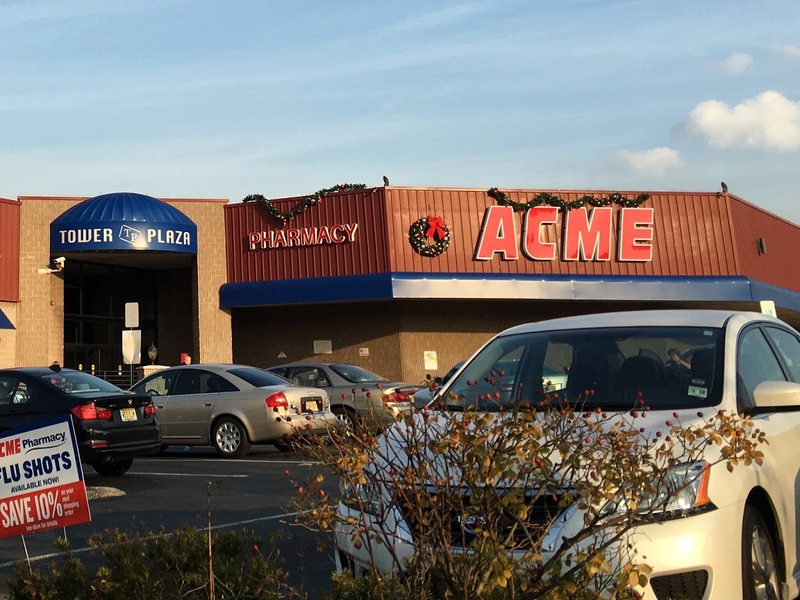 The Weehawken Acme opened on November 6, 2015. 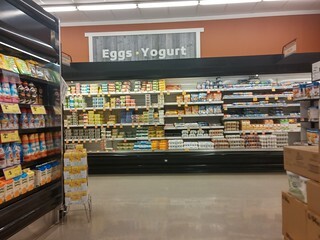 It's my absolute favorite converted store... so far. 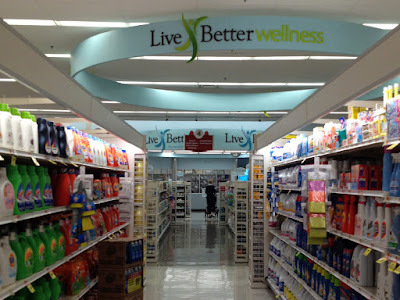 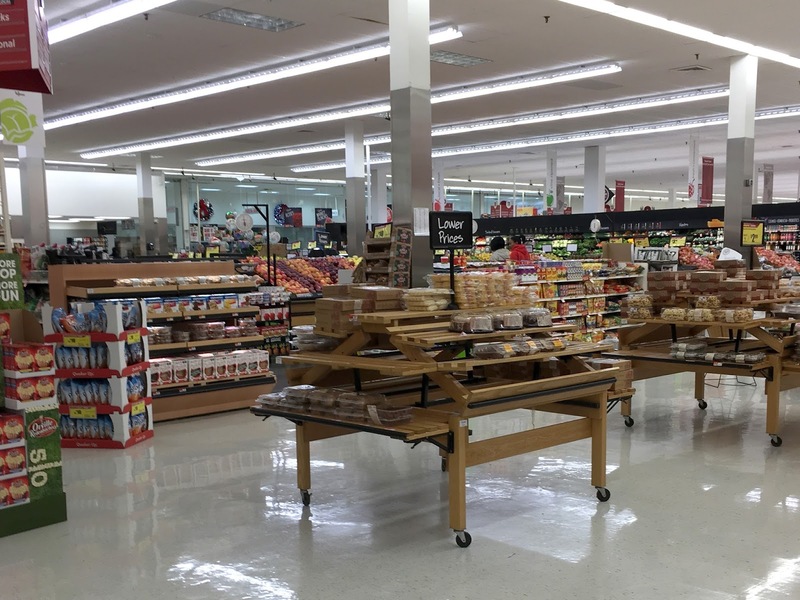 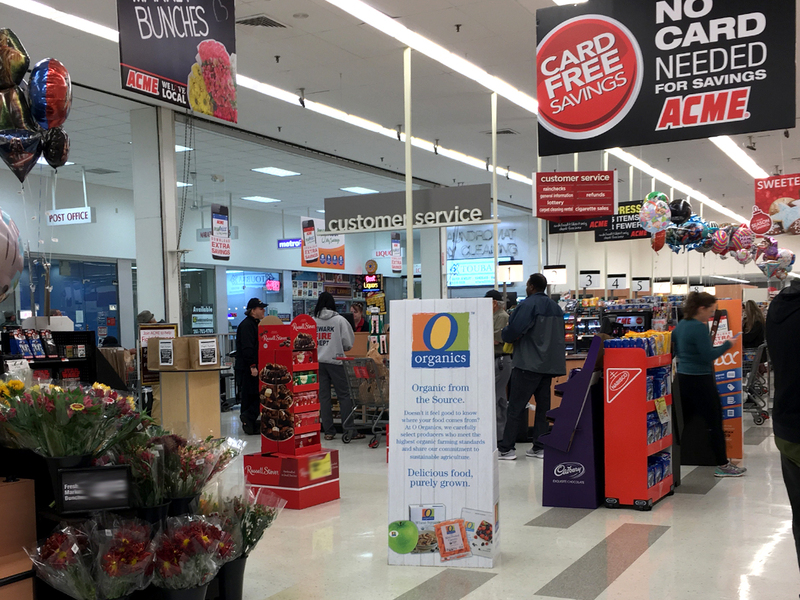 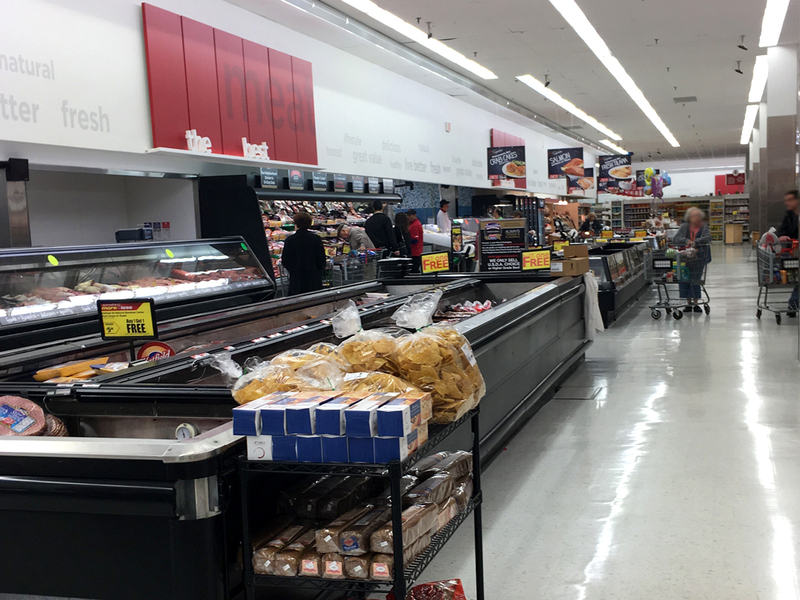 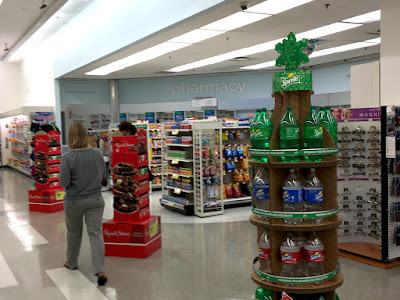 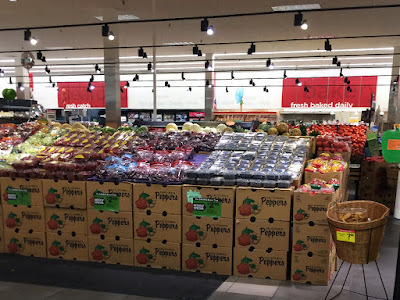 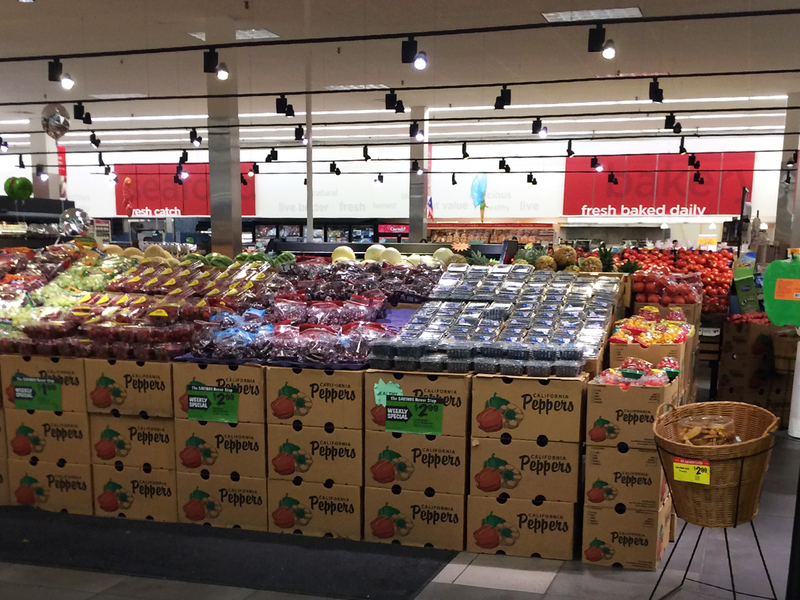 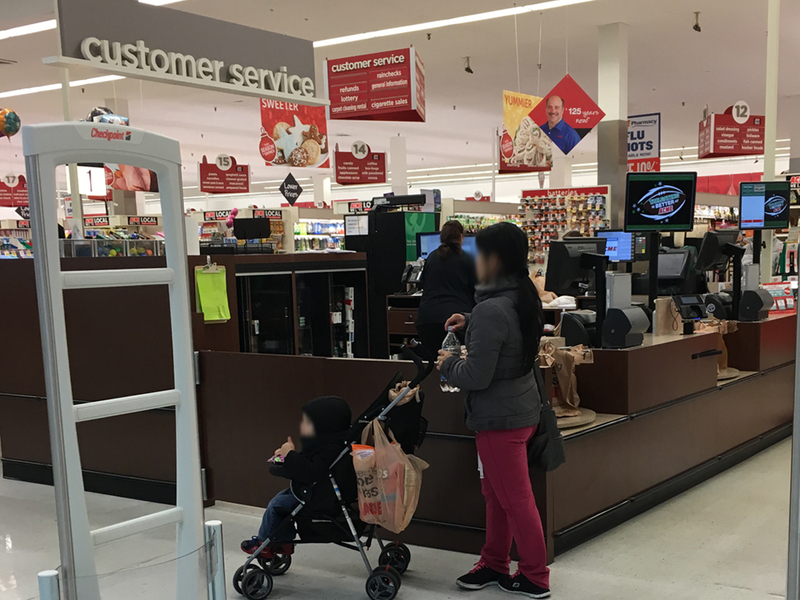 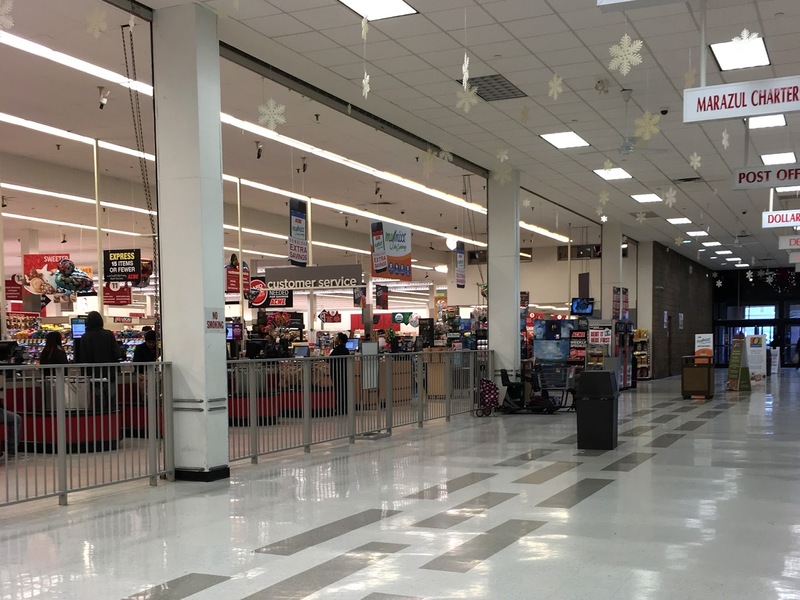 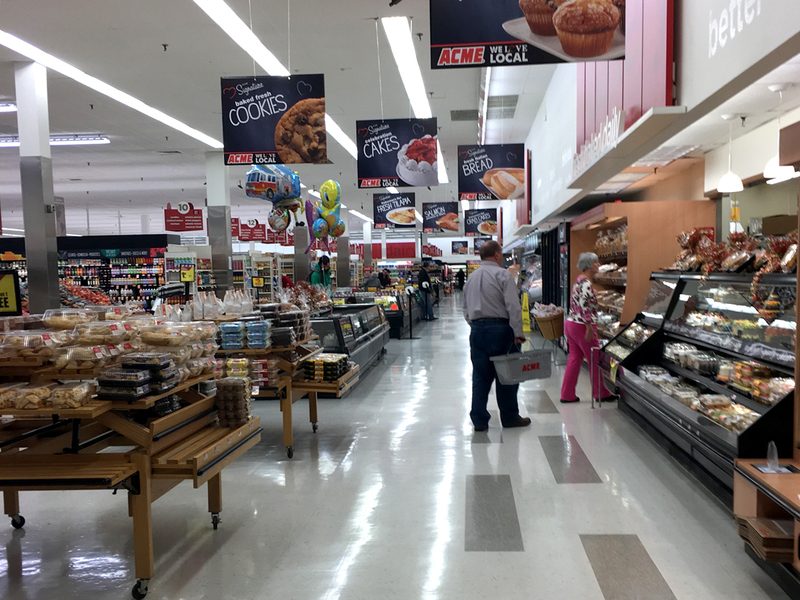 Pathmark remodeled the place from floor to ceiling back in 2012. 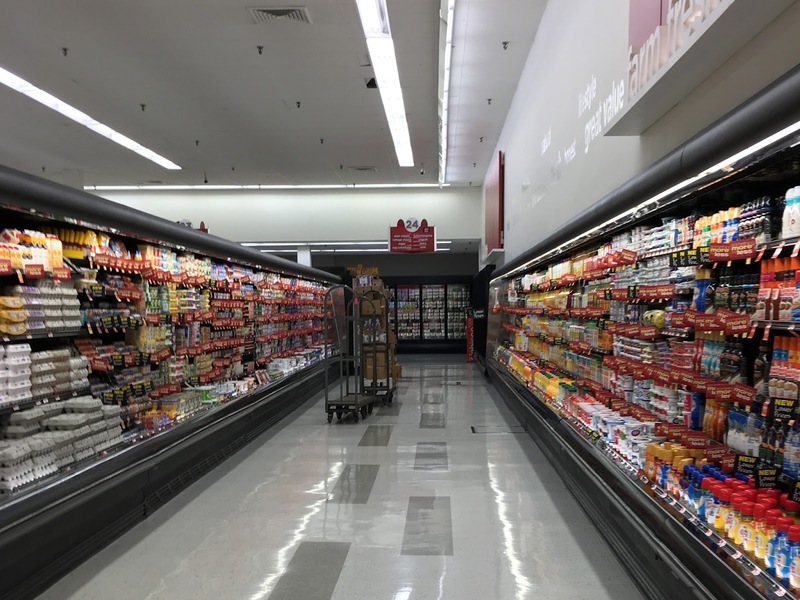 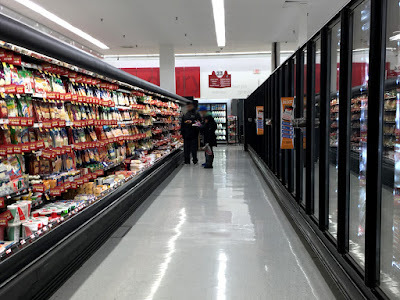 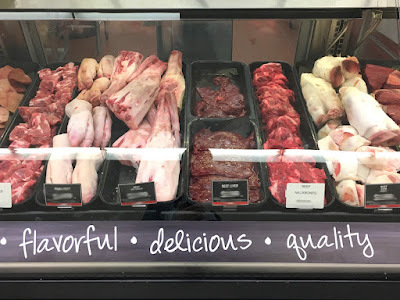 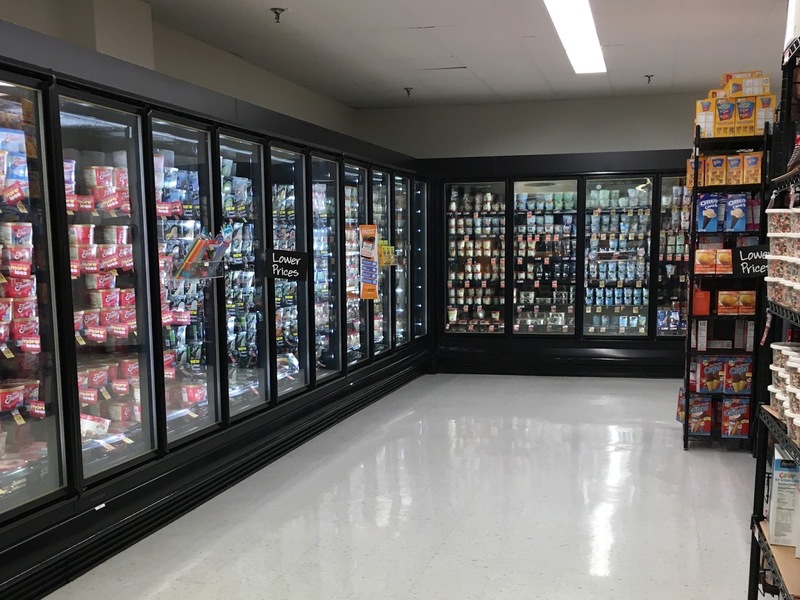 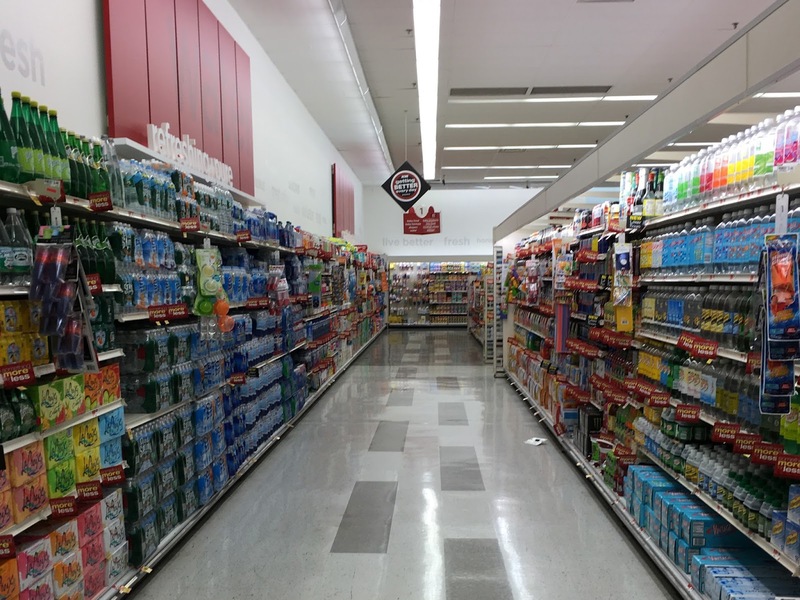 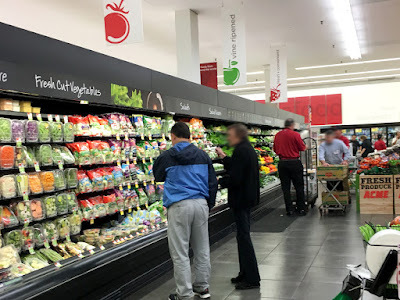 While they did a great job maintaining the store in recent years, Acme came in and cleaned it so thoroughly, it felt like it was remodeled all over again. 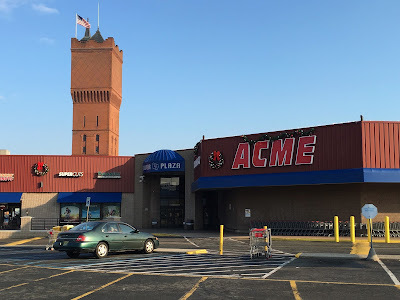 The interior color scheme goes so perfectly with Acme's black and red signage, I wonder if they'll even bother with a remodel anytime soon. Some problems with the Christmas decorations here but you have to give the landlord an "A" for effort. 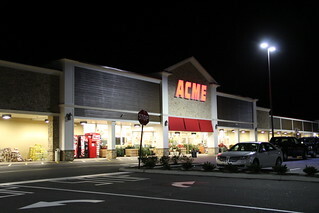 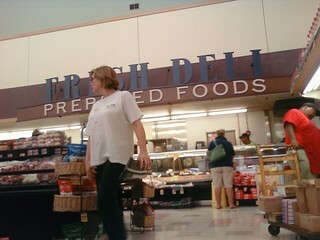 This store was featured in the post "Future Acme Markets" so you may be familiar with many of these photos. 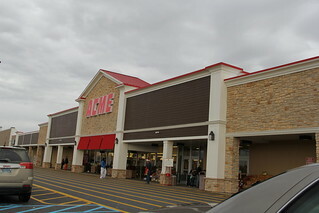 The main entrance leads to a concourse with small shops on the left side and the Acme on the right. 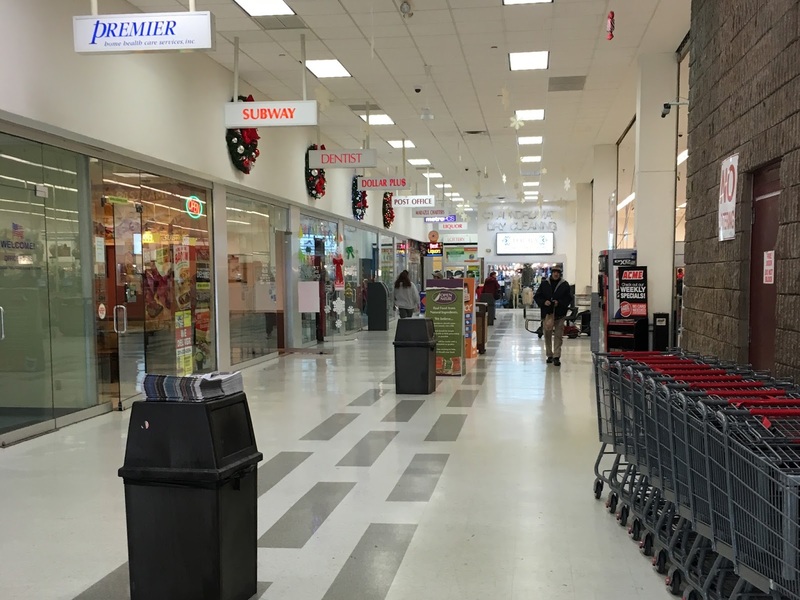 A laundromat and another entrance are located all the way at the end. 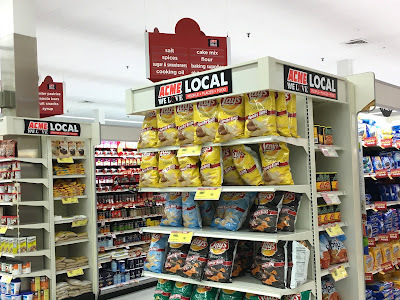 No mini-carts at this Acme. They were here when the store first opened but were gone about a week later. I asked at Customer Service and was told all the carts "walked away". So I said "they were stolen?" 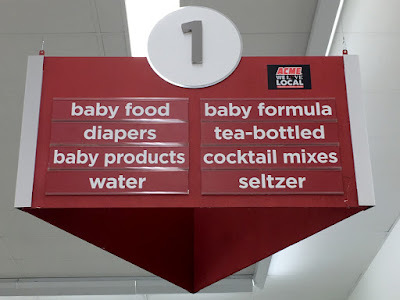 And the Customer Service Rep said "Yep, every single one of them." They apparently weren't equipped with the wheel lock that would have prevented them from being removed from the parking lot. 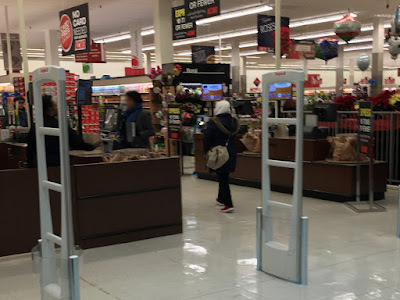 Another round of mini-carts with locks is expected to arrive... someday. 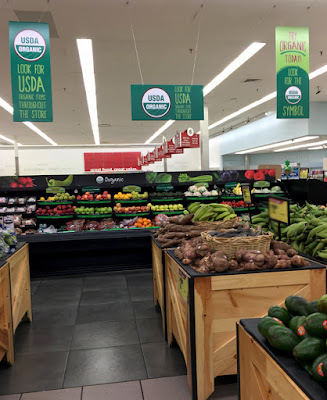 Premium Fresh and Healthy store hours sign! 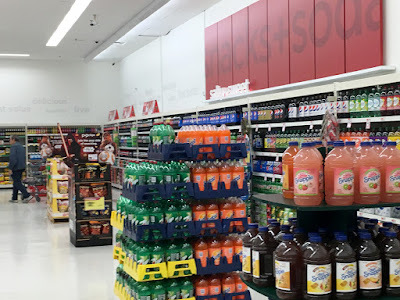 You can find these in a lot of converted stores. 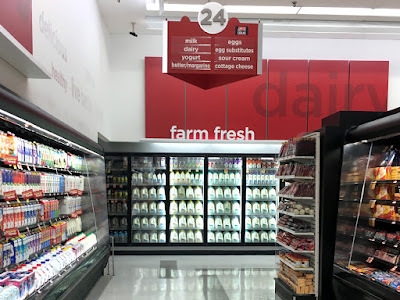 This location is open 24/7. Self checkouts used to be to the left next to the floral displays. They didn't add any new registers here. Only nine registers which doesn't always seem to be enough on busy weekends. 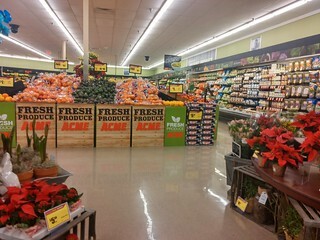 Acme's produce is seriously about a million times better than Pathmark. 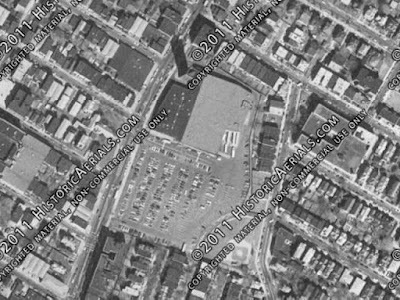 Alcove here on the right due to the second floor offices above. Acme really livened this area up by adding seasonal and baked goods. 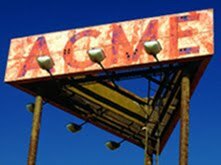 That all wound up in the dumpster. 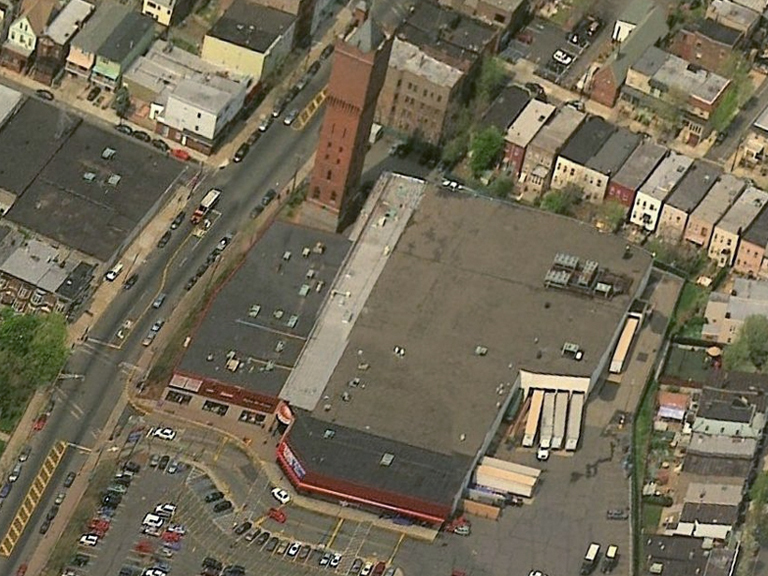 Sad to see some of A&P/Pathmark's efforts just thrown away, never to be seen again. 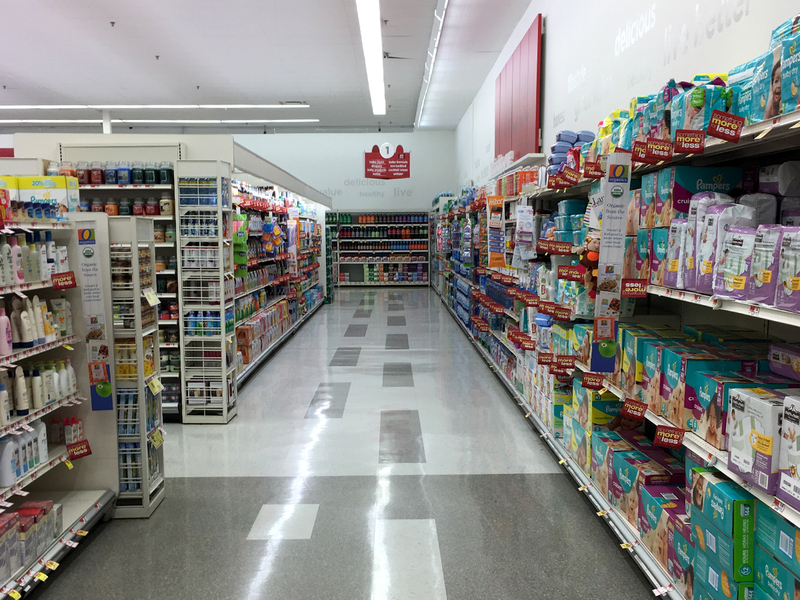 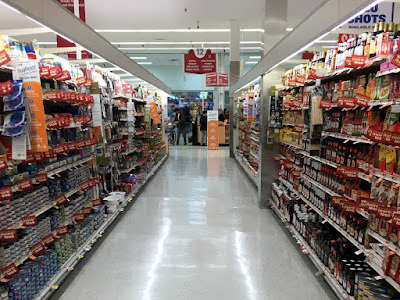 The aisles here used to run parallel to the front-end. 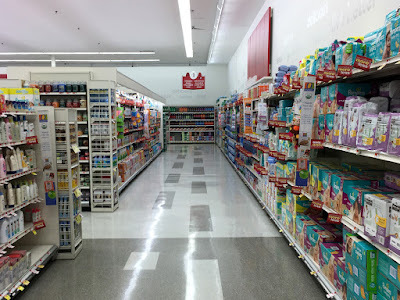 Can't remember if they switched if for this last remodel of the Path to Savings remodel. 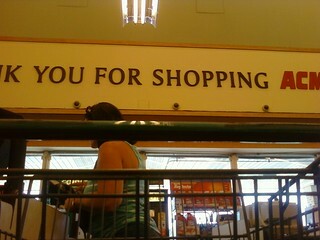 It's really crazy how nice this store is these days compared to 10 to 15 years ago. 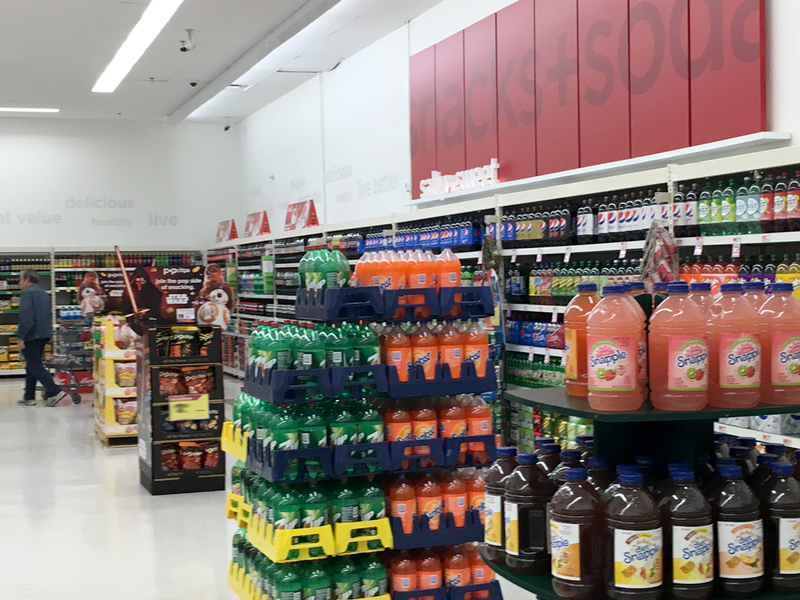 Soda in this back alcove. 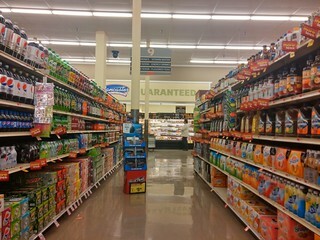 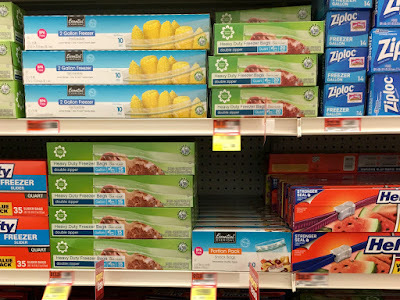 Still a messy mix of Essential Everyday and Safeway products. 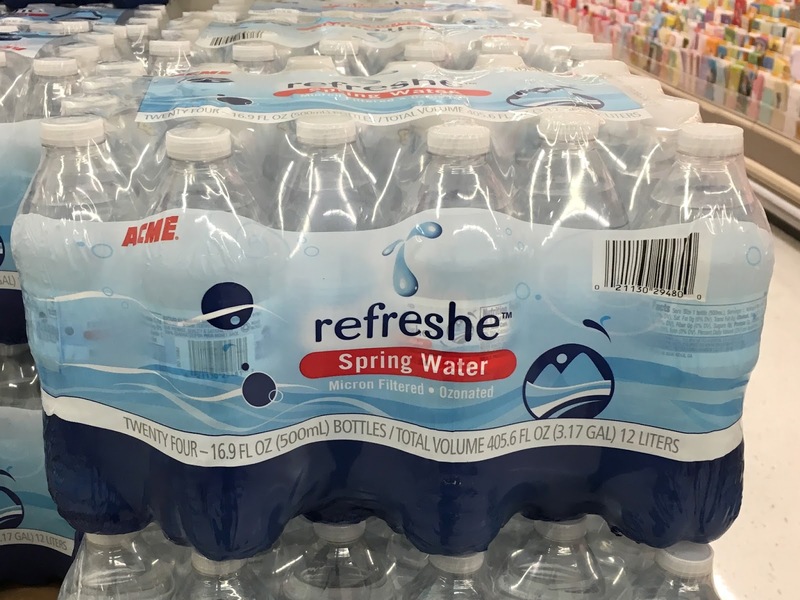 Check this out.. refreshe water WITH the ACME logo on it! 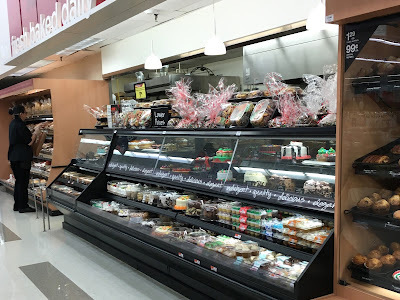 The section in the Bakery has improved dramatically since Acme took over. 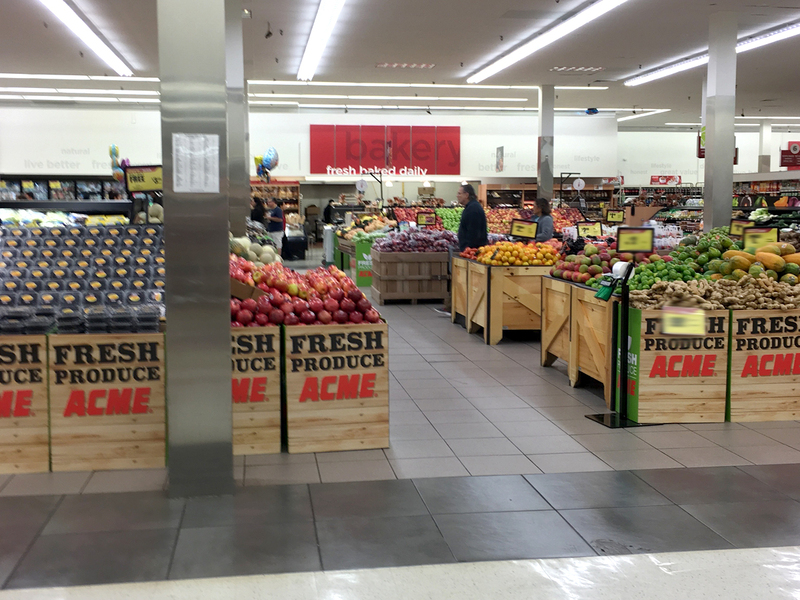 Acme is doing an incredible job keeping this store clean and stocked. 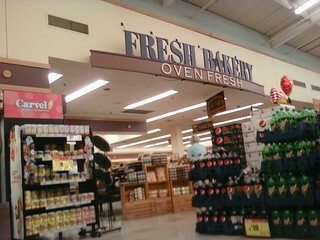 Still looks just like Pathmark yet is nothing like Pathmark at all. The Meat Department lost "very" in its sign. 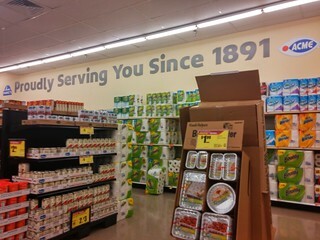 Now it's just "the best". 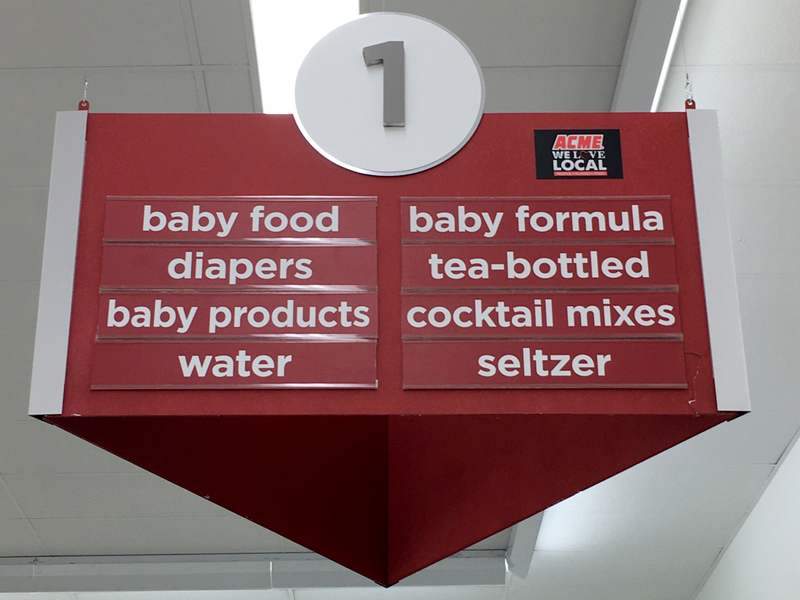 A lot of body parts here that I'm just not interested in. 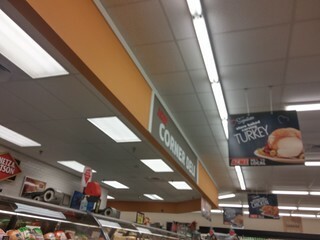 Always found the Deli location in this store to be very odd. 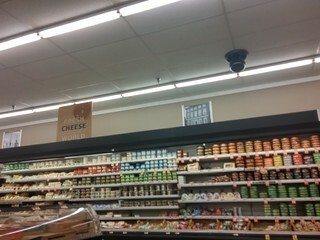 All the way in the back corner by the milk. 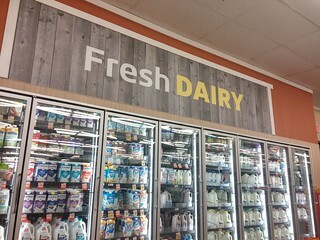 Acme did a very nice reset of the Dairy Department. 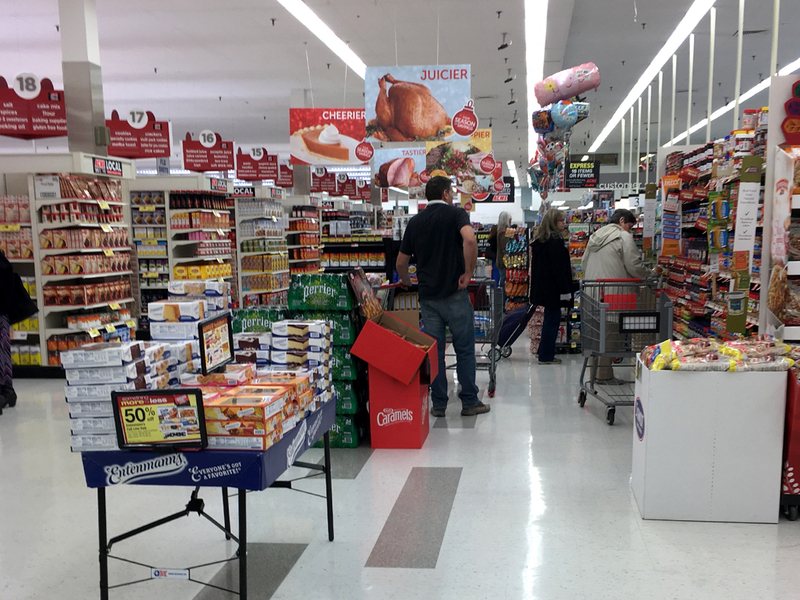 Pathmark's arrangement was rather confusing. Ice cream alcove in the front. 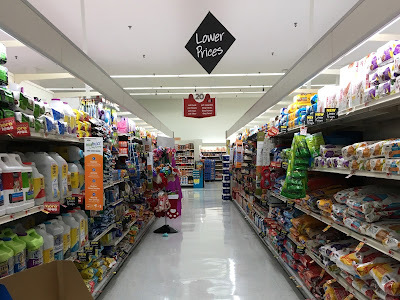 Aisle 19 lost it number along the way. 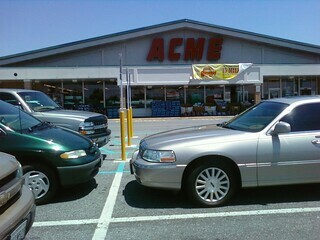 I thought Acme might rotate this sign so another side with "19" on it would face the front but no such luck. 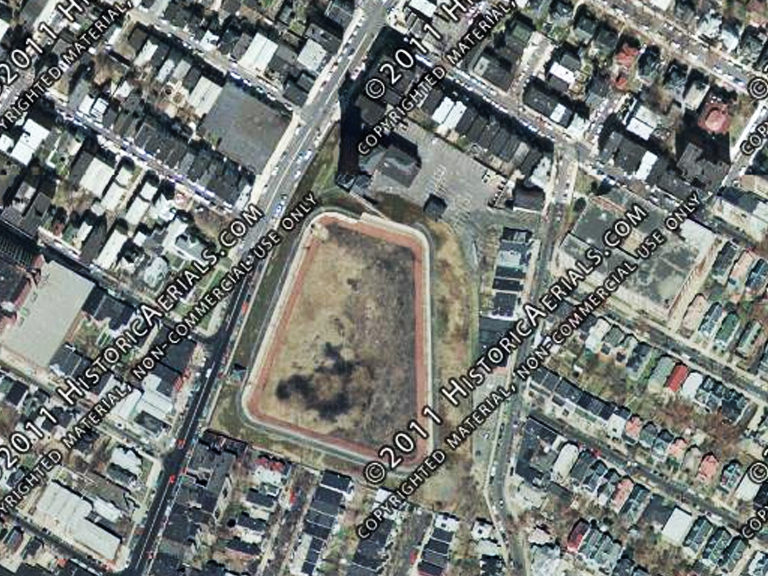 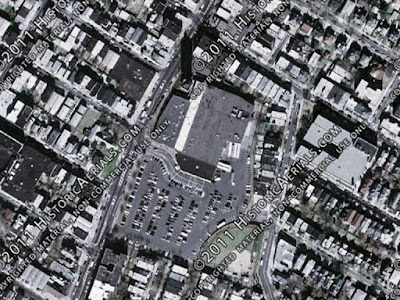 The Pathmark was built on a reservoir. The old water tower still stands to the rear of the store and is a major landmark in Weehawken. 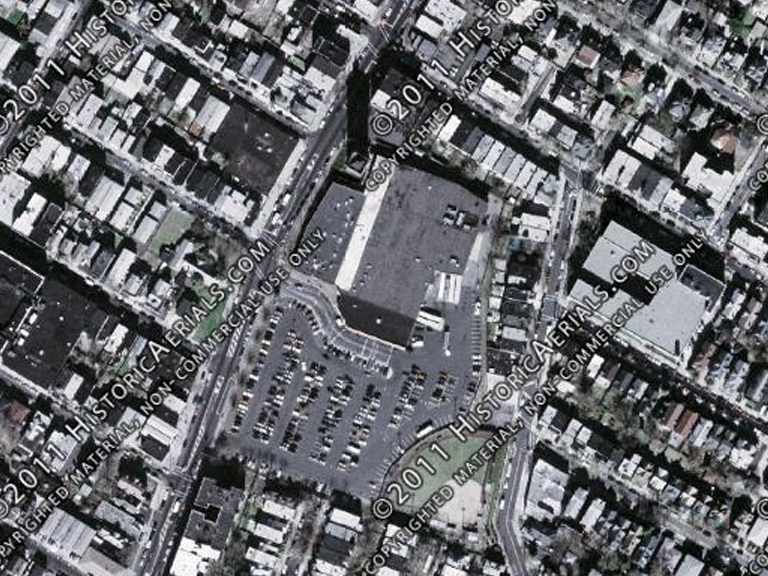 The Pathmark was expanded sometime between 1987 and 1995. 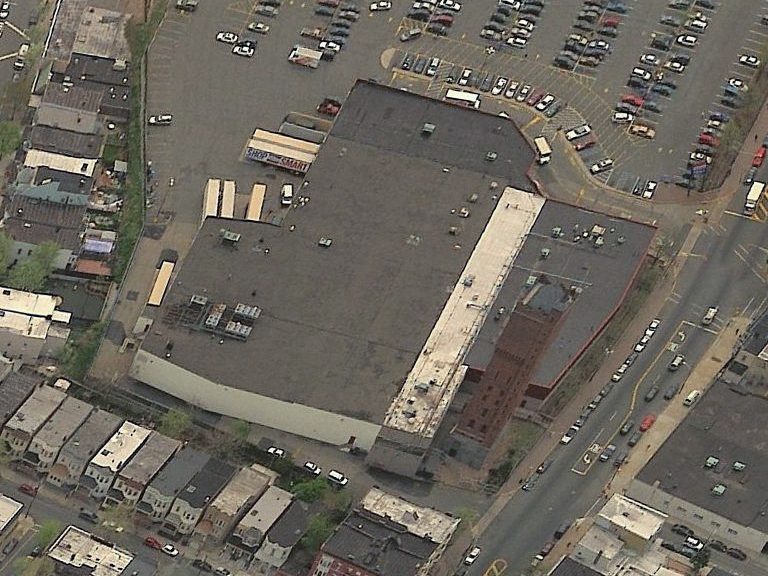 The newer section has a darker roof and sticks out into the parking lot. Prior to the expansion in 1987. While the place looks insanely busy, many of those cars aren't for shoppers inside. 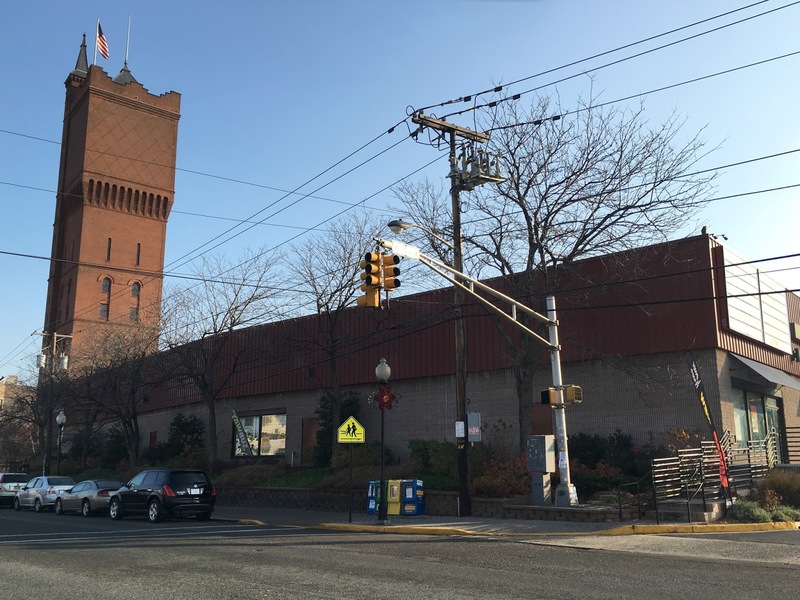 About 1/2 of the parking lot is designated for Weehawken residents as on street parking is limited in the area. 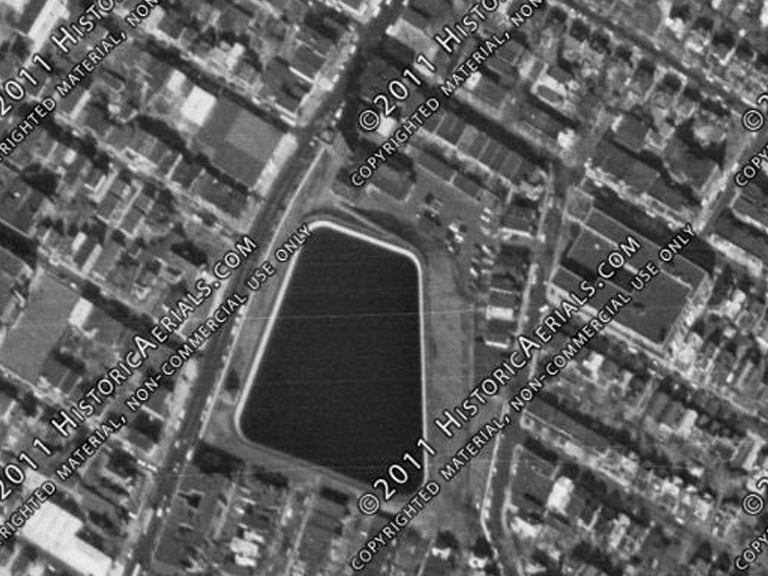 The reservoir looking dried up in 1979. 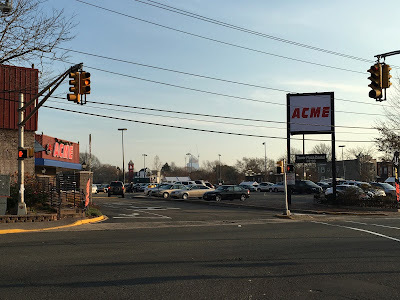 Gotta say... the Weehawken Acme is a winner! Sign is up in New Providence! Signs are up at Ortley Beach Acme!